Wm. Wright Co., of Antioch, Tenn. announced a voluntary recall of Roman Shade Make-It-Yourself Kits because strangulations can occur when a child places his/her neck between the exposed inner cord and the fabric on the backside of the shade, or when a child pulls the cord out and wraps it around his/her neck. 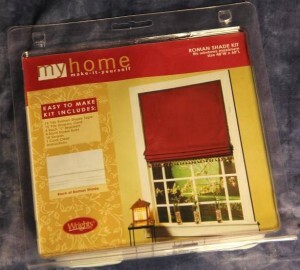 This recall involves all Wrights “my home make-it-yourself” Roman shade kits with item numbers 1451007001, 1451008001 or 1451008001A. The kit fits windows of a maximum size of 48” W x 60” L and includes 15 yards of Roman shade tape, 15 yards of drapery cord, 4- inch “L” brackets, 18 screws, one cord cleat and instructions. The item number and “Wm. Wright Co.” can be found on the back of the package. The affected kits were sold at Walmart, Jo-Ann Stores and other specialty textile and variety retail shops nationwide from December 2007 through June 2011 for between $20 and $25. Consumers should immediately stop using the Roman shades and contact Wm. Wright for a free repair kit including a fabric voucher, new instructions and warning tags. Unused kits should be returned to place of purchase for a redesigned kit. For additional information, contact Wm. Wright toll-free at (800) 545-5740 between 9 a.m. and 3 p.m. ET Monday through Friday or visit the firm’s website.